I ♥ Motherhood: Big Birthday Weekend with Bezerkaz Circus! So this past week has been all about the birthdays! First it was Noah's, he turned 2 and then it was Isla's and she turned 4. I feel like it's a bit of an end of an era with Isla as she starts school in September and so this is her last pre-school birthday. I also feel like time has gone too fast. As parents we're always looking to the next milestone, wishing they could do this and do that but actually we should celebrate the now more. I absolutely love the age she is at now. She is fun, she is sweet, she is loud, she is cheeky. She's a challenge at times, she can be a bit over emotional, she hasn't got a hint of self consciousness yet. All that said, I am looking forward to school coming up and watching her blossom and learn about the wider world. 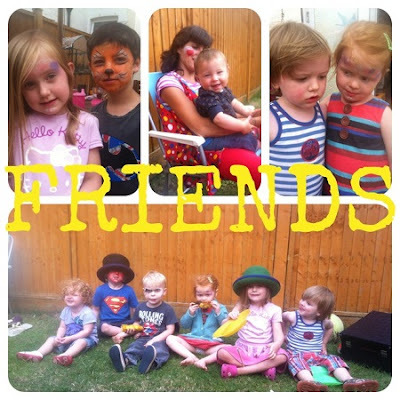 We've done loads of fun things for their birthdays but I'd say the best bit was on Saturday when a good friend of mine came over, he runs Bezerkaz Circus and gave Isla and Noah and their best friends a circus party in the garden. I've known Shaun for over 20 years, so it was really lovely to get together with all our kids and have some fun and see what he does for a living these days. 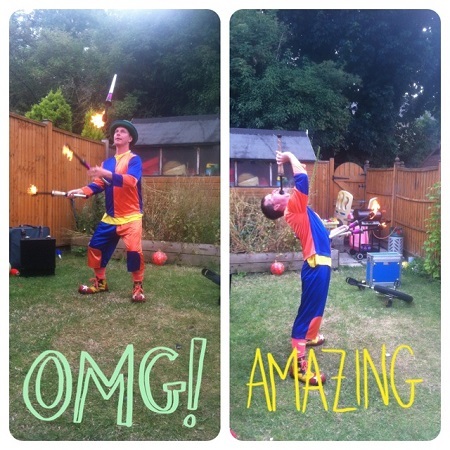 There was juggling, plate spinning, unicycle riding, giant bubbles, accordion playing, diablo, acrobatics, face painting, balloon modelling and last but not least fire juggling and fire eating! It was all really exciting and we all (adults included) were wowed by the giant bubbles! You can read about Bezerkaz Circus in my previous blog post and check out their website here. 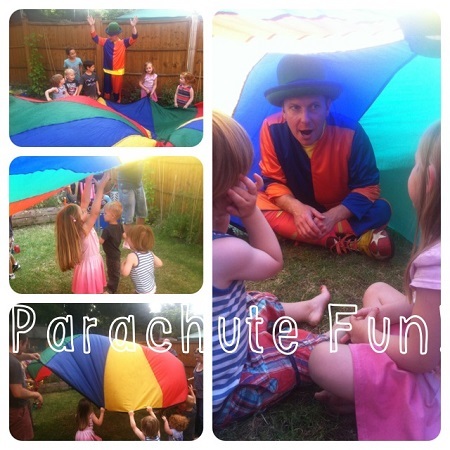 AAAAND there is a rather exciting Summer of Adventures competition on the Nick Jnr website at the moment to win a Bubble Workshop with Bezerkaz Circus. Give it a go as I can say with much enthusiasm that the kids loved the giant bubbles on Saturday and so did the adults! This is not a sponsored post, I've not been paid to write about this, it was just a really brilliant afternoon spent with talented friends who know a thing or two about entertaining little ones! That looks like such a fun party. Happy Birthday to your kiddos. Wow how great to have such talented friends! That is definitely going to be a birthday to remember and a fantastic start to the summer holidays, thanks for sharing with Country Kids.